Start taking a cooking class from the comfort of your home with Gabriele Kushi. She offers eleven cooking class videos to choose from. Gabriele Kushi teaches a variety of soaking, cooking and energetic methods on how to prepare delicious whole grains. She introduces all the grains and prepares pressure-cooked medium brown rice in an Ohsawa Pot. You will also learn how to prepare quinoa correctly. Whole grains, a central element of the human diet since early civilization, are an excellent source of nutrition. These whole grains are an excellent source of nutrition, as they contain essential enzymes, iron, dietary fiber, vitamin E and the B-complex vitamins. Because the body absorbs grain slowly, they provide sustained and high-quality energy. Eating them on a regular basis helps to stabilize the blood sugar and balances hormone fluctuations. Vegan Gluten Free Macrobiotic. Gabriele Kushi teaches the basics on how to prepare beans as a wonderful way to add high-quality, plant-based protein to your diet. She introduces an assortment of beans and bean products like tofu, and teaches soaking, pureeing, sprouting, cooking, and energetic methods on how to prepare them efficiently and deliciously. She also teaches how to cut a variety of vegetables to include into the dishes. Using beans daily will also provide high amounts of iron, B vitamins, and fiber. Beans and bean products can be prepared versatile enough that you may never tire of them. Vegan Gluten Free Macrobiotic. Satisfy your cravings for sweets. Learn how to prepare round and root vegetables that help to stabilize your blood sugar levels. Almost everyone craves sweets. Rather than depending on processed sugar to satisfy cravings, add naturally sweet foods like round and root vegetables to your daily diet to satisfy your sweet tooth. These vegetables soothe the internal organs of the body and energize the mind. Root vegetables are energetically grounding, and help to crowd out less healthy foods in the diet. Vegan Gluten Free Macrobiotic. Learn to prepare the famous Miso Soup. Gabriele teaches you how to make a quick miso soup and one with a traditional Dashi (Soup stock). This cooking class DVD will teach you how to use daily soups mildly flavored with different kind of traditional fermented miso. Miso is a fermented bean product that provides a wide variety of enzymes and bacteria friendly to the digestive system, thus aiding in food absorption. It also contains proteins, vitamins and minerals, especially calcium. A wide variety of miso flavors like barley, red-rice, soybean, mellow- rice or chickpea miso can add enticing tastes to any dish and your soups. Vegan Gluten Free Macrobiotic. Gabriele’s dessert recipes contain only natural complex sweeteners like barley malt, brown rice syrup, amazake, or maple syrup. Gabriele prepares a Kanten, which is made from Sea Vegetables. Its texture is a cross between pudding and Jell-O. It is mineral rich and it helps to strengthen the bones. Kanten is a wonderful, kid friendly snack. She also teaches you how to make an Apple Crunch with local apples and introduces gluten free baking items. Although an apple has a low vitamin C content, it has antioxidants and flavonoids, which enhances the activity of vitamin C, thereby helping to lower the risk of colon cancer, heart attack and stroke. Vegan Macrobiotic. Learn how to prepare special combinations of certain foods to eat and drink for ailments or symptoms relief. Home remedies made from sweet vegetables can help softening tightness caused by heavy animal food consumption, and for relaxing the body and muscles. It is especially beneficial for softening the pancreas and helping to stabilize blood sugar levels. The Ume-Sho-Kudzu Drink shown in this DVD can be used to strengthen and promote good digestion, and to restore energy. The Ume-Sho-Bancha tea helps to strengthen the blood, regulate digestion and circulation, relieve fatigue and weakness, and provides relief from an over consumption of simple sugars (including fruit, fruit juices, or other acid-forming foods or beverages). Vegan Gluten Free Macrobiotic. Learn how to roll your own sushi. This introduction to traditional as well as brown rice sushi making will be enjoyed for years to come. Do you love to eat them, but you don’t know how to make them? This fun video will teach you how to be your own sushi chef. You will be introduced to traditional sushi making with white rice as well as brown rice nori rolls. Sea vegetables, wasabi, ginger pickles, the standard of rolling your sushi, as well as avocado, tofu and other fun ingredients are used by Gabriele. As extra bonus, learn the kids and adult loving green vegetable roll, where no grain or seaweed is used. Vegan Gluten Free Macrobiotic. Sign up for the E-News with seasonal free recipes here! Contact us for a free session. 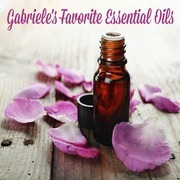 This new book from Gabriele provides you with easy tools to manage a Wellness lifestyle. Gabriele's book Embracing Menopause Naturally will nurture your body mind and soul. Click and see how to make sea vegetable dishes in your wellness kitchen.